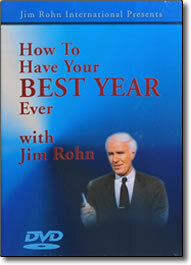 Jim Rohn has bee hailed as one of the most influential thinkers of our time. Him has helped to motivate and train an entire generation of personal development trainers as well as hundreds of executives from America’s top corporations. He has been described as everything from a master motivator to a modern day Will Rogers…to a legend! Now, in this powerful 4-hour video training program, you’ll learn new ways of developing and improving the success skills that will take you to the top.